I have seen a few bloggers posting pictures of their favourite Christmas ornaments and thought, now that I have batteries for the camera, I would like to post some pics. So, this is the first, the Angel Chimes (there is a bit of a glare). They were always magical when growing up. I remember when we would bring out all the Christmas items we would se tthe chimes up at the end. My dad would light the candles and our house would go silent. The angels spin around and the sticks under them ding the bells on the sides. It is so beautiful. When we had kids and were starting our own traditions, I wanted one of these so badly for my kids to experience. My parents bought us one for Christmas a few years back. I was and still am so happy!! This is what the kids made in Sunday school yesterday. We had each family work together and it was just awesome. Nobody argued about what they were going to do and everyone turned out so unique. 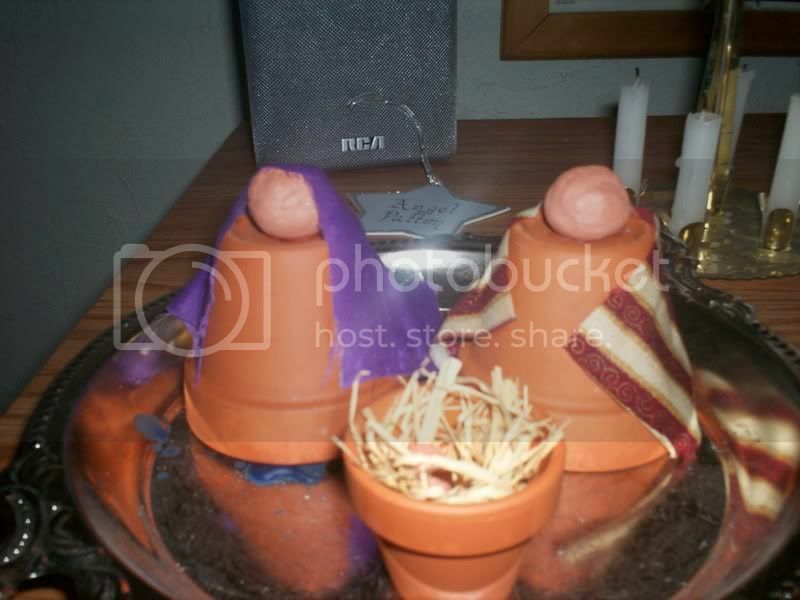 I think they are the cutest little nativity set I have ever seen and this is sure to become a favourite in our house. 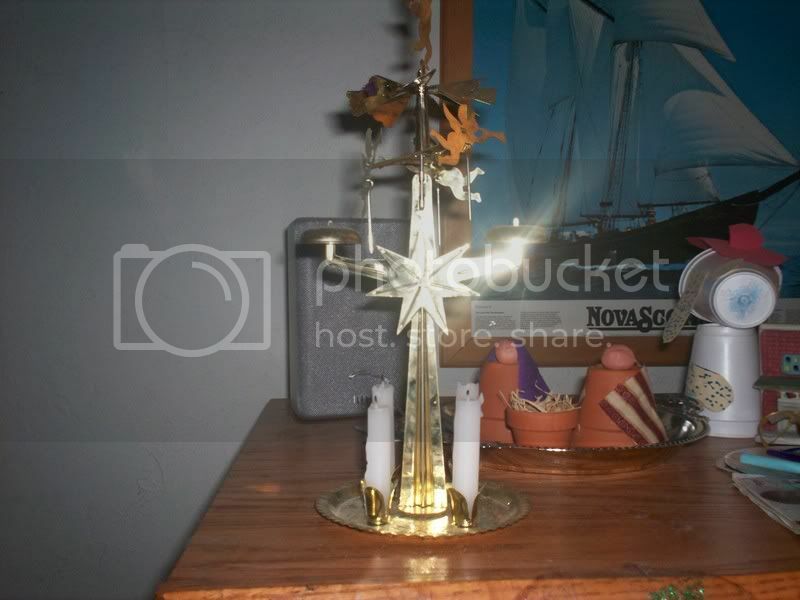 We don't get our tree until Saturday, so when we get it set up I will be sure to take a picutre. oh I love angels and bells and nativity scenes...I would keep them up all year! I love Christmas decorations. Its always fun and exciting putting everything together. I haven't put up our tree yet, must get organised shortly! Kathryn and Tahi have got theirs up. Love the angel chime! Last year I told J that I wanted a Nativity scene for our home... and now I have it... thanks, I can ask for a different gift instead.